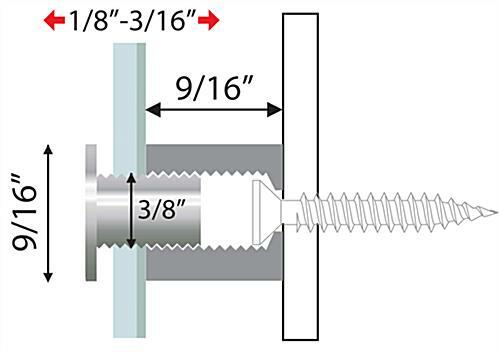 Size (Diameter x Depth): 0.5625" x 0.5625"
0.75" x 1" 1" x 1"
Standoff kit includes all of the necessary hardware for hanging signs. 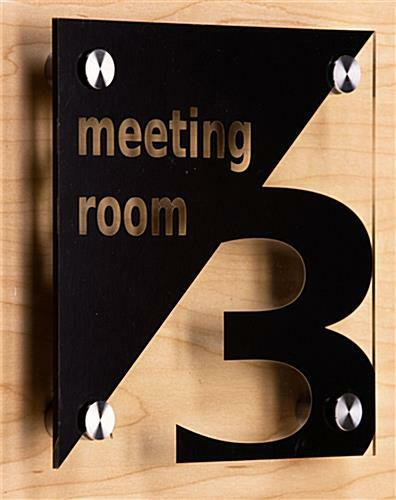 Sign mount is made of stainless steel making it not only durable, but also affordable. 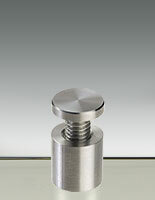 The fastener is perfect for public places becuase of its tamperproof design. The spacers have a diameter of 9/16" which is great for hanging smaller displays. 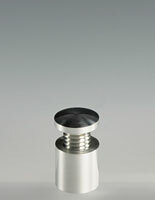 These standoffs for signage are both cost-effective and stylish mounts. Why is the appropriate hardware necessary for sign panels located in public places? 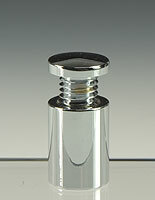 Standoffs not only enhance the look of displays but also protect them from being vandalized. Designed for office settings and business spaces, the kits feature versatile style that blends in anywhere. 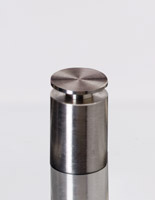 The standoffs with silver finish are made from stainless steel. 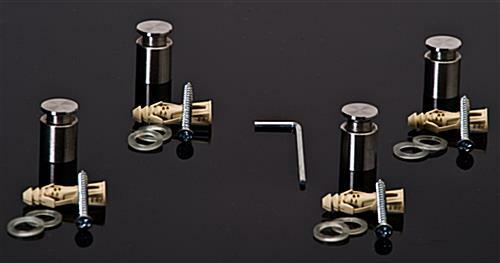 This construction ensures the fixings will last and keeps the price lower than many plated assemblies. 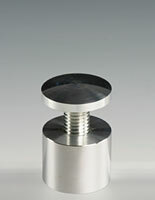 These standoffs measure just 9/16" in diameter, which is great for smaller panel sizes. 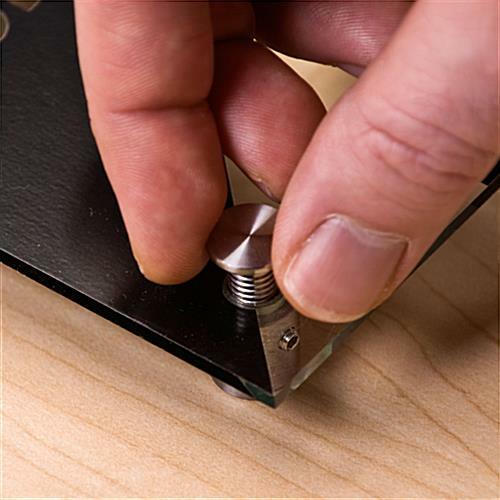 Users are able to mount just about any material, including metal, glass, plastic, and even wood! 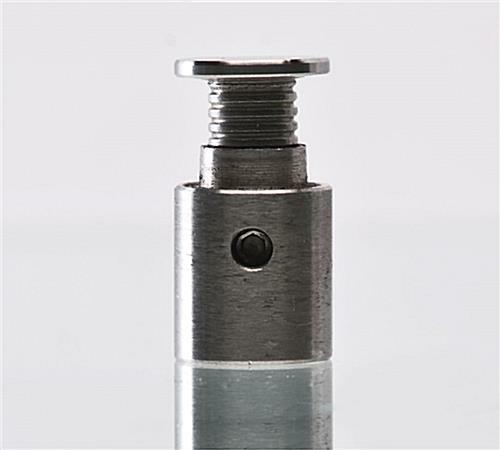 These standoffs, sometimes referred to as hardware spacers, are different from other fixings because they lock. 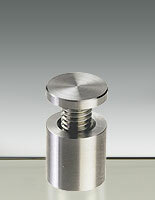 The unique setscrews secure the assemblies, making them tamper-resistant. Many standoffs just screw into the receivers, so anyone can remove them without much effort. These models, on the other hand, require a small Allen wrench to remove the units. 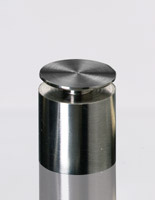 Not only can the standoffs mount signage to the wall, but also they work for countertops! 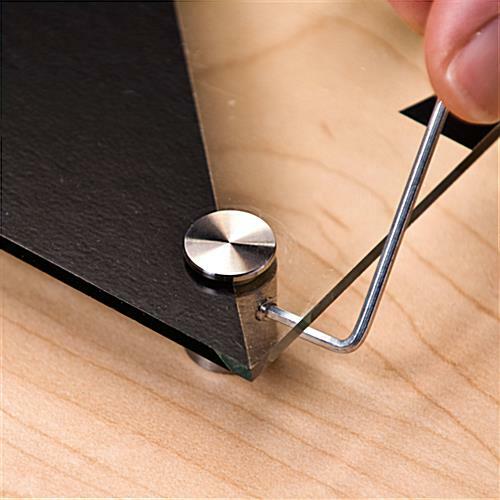 Most any materials that are no more than 3/8" thick will work with the fixings. Each purchase comes with (4) standoffs, screws, anchors, and plastic separaters. Please Note: Signage will need 3/8" diameter holes drilled when mounted with the sign fixing hardware. We are unable to accept orders for less than 4 units.